Cosplay is an incredible tool that so many people can use to help feel confident. Many cosplayers in particular use cosplay as a form of empowerment for body positivity. We asked some of the cosplayers featured in Cosplay Realm to tell us about how cosplay helps them feel strong and confident in their own bodies, and here are some of our favorite stories they shared with us! “Since I joined the Love Live fandom in 2013, I have been fortunate enough to be a part of three dance groups. Before entering this fandom, I would have never had the confidence to dance in front of a masquerade crowd. But the amount of overwhelming support that I received from my fellow dance group members and from fellow fans allowed me to improve my skills drastically and overcome my fears. Now I can proudly say that I was part of a dance group that won best in Journeyman in a masquerade earlier this year. Nothing will ever compare to the feeling of knowing that all of my hard work and determination paid off, and I can't thank everyone enough who supported me in my journey to get here. Cosplaying from Love Live has also helped me overcome my body image issues. After being in the cosplay community for so many years, I began to feel self conscious about certain parts of my physique. I had a nasty habit of comparing myself to popular cosplayers, and putting myself down when my posts didn't get as many likes or comments as I wanted. I would always blame myself, and think if I looked a little more like other cosplayers, I would be happier. However, cosplaying from Love Live made me realize that anyone can be an idol. The 'flaws' that I saw in myself could actually be seen as positive traits by someone else.The things that I didn't love about myself were just aspects that made me unique. After I met so many beautiful and diverse cosplayers who were representing their best girls, I understood that I didn't have to adopt a certain look in order to have a good time cosplaying. “Sites, photographers, conventions, etc. claim that there's a few black cosplayers in the community, but if they look at #blackcosplayerhere, then they'll see that so many of us exist. Unfortunately black cosplayers, especially if they're both plus sized and darker skinned, have to work 4x harder than everyone else for opportunities. Most photographers, pages and sites refuse to feature us. We're barely in cosplay music videos and some conventions deny us guest spots. If they do choose black cosplayers, then it's usually the token or the "ideal" ones (lighter skinned, racially ambiguous, and/or thin). Look at most of the photographers' portfolios and cosplay music videos (especially from the well known photographers and videotographers). Also look at the "best cosplays" articles. You'll either see no black cosplayers or they'll show the few "acceptable" ones. Because of this, some black cosplayers believe that their cosplays aren't good enough. People on the outside believe that there's not many black cosplayers in the community and some black people who want to cosplay will be super hesitant to do it. Now for a little background on me, I heavily struggled with obesity as a kid. I weighed almost 200 pounds at 10 years old, and I still carry some of that weight to this day. So for me, wearing anything that shows my stomach is always uncomfortable. I always pose to hide my belly or just not want pictures at all. But since it was a gift I decided I’d do it for my future husband. So I got the costume and tried it on, it was SMALL. Like you could see my whole stomach and most of my bottom. I didn’t want any part of it. Well the photoshoot came and my fiance was pumped. And I was terrified. But I pushed through and did it anyway and ended up having a blast! Once I got in front of the camera I was having the time of my life. Cosplay Realm Magazine strongly believes that Cosplay is for anyone. No matter your body type, skin color, height, gender, sexual orientation, or anything else, you can cosplay. Want to read more stories like these? 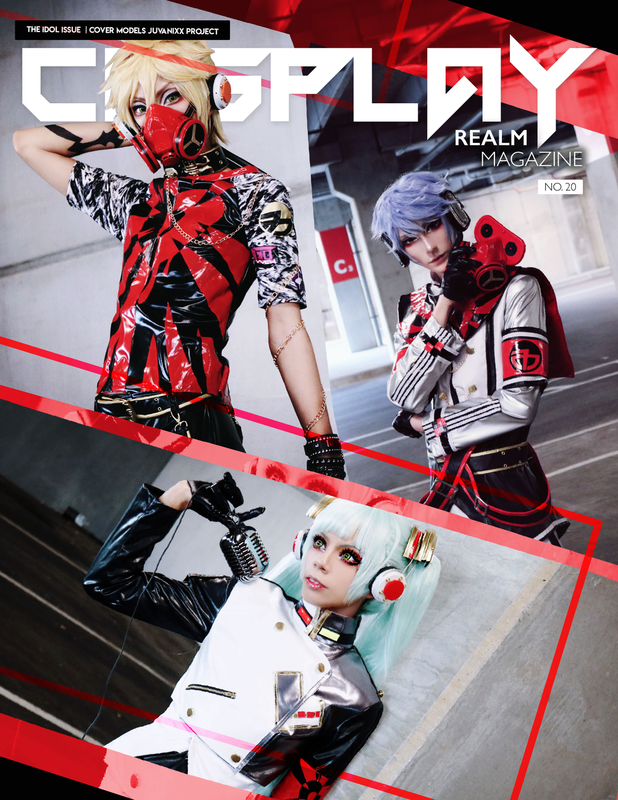 Cosplay Realm strives to feature cosplayer and photographer stories in every issue, pick up the latest one and let us know what you thought! Do you have a story you want to share with us? 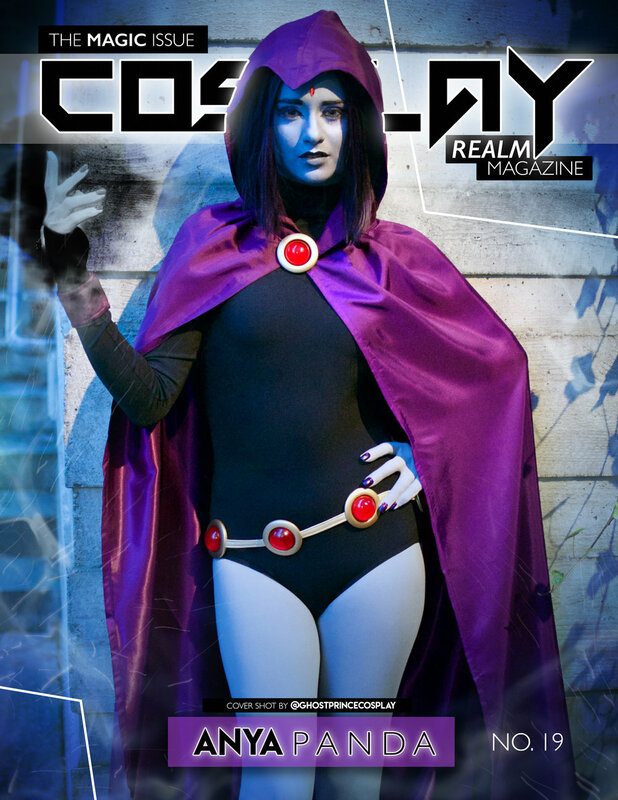 Reach out at cosplayrealmmagazine@gmail.com to be featured.